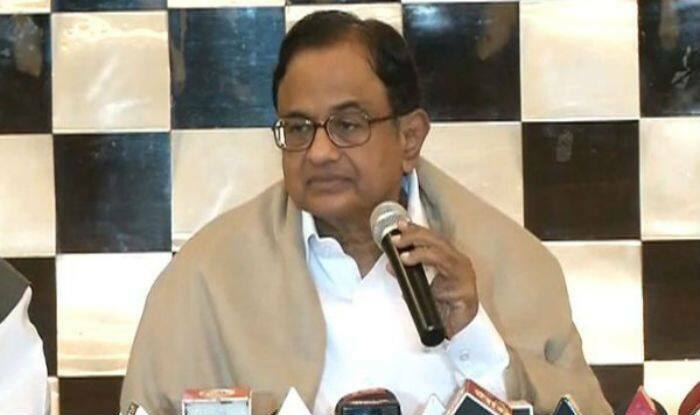 Terming the announcement as historic, Chidambaram said that the Congress would explain in its election manifesto how it will implement the plan. New Delhi: Amid Congress president Rahul Gandhi’s promise of “minimum income guarantee” being compared with the BJP’s universal basic income concept, senior party leader P Chidambaram clarified that the scheme will not be “universal” and will be specifically focused on the poorest. “The BJP has practically nothing to teach us. This idea of minimum income guarantee is not borrowed from the BJP. This will be targeted at the poorest and will not be universal,” said the former finance minister. Terming the announcement as historic, Chidambaram said that the Congress would explain in its election manifesto how it will implement the plan, which will mark a turning point in the lives of the poor. “The principle of Universal Basic Income (UBI) has been discussed extensively in the last two years. The time has come to adapt the principle to our situation and our needs and implement the same for the poor. We will explain our plan in the Congress Manifesto,” he added. The senior Congress leader said that around 140 million people were lifted out of poverty between 2004 and 2014, when the UPA was in power. “Now we should make a determined effort to wipe out poverty in India. The poor have the first charge on the resources of the country. Congress will find the resources to implement the promise of Rahul Gandhi,” he added. Addressing a ‘Kisaan Abhaar Sammelan’ in Raipur, Rahul announced that his party would ensure minimum income guarantee for every poor in the country if it returns to power after Lok Sabha polls due in April-May.